2018 Ford F150 Lariat Diesel My Week Behind The Wheel! 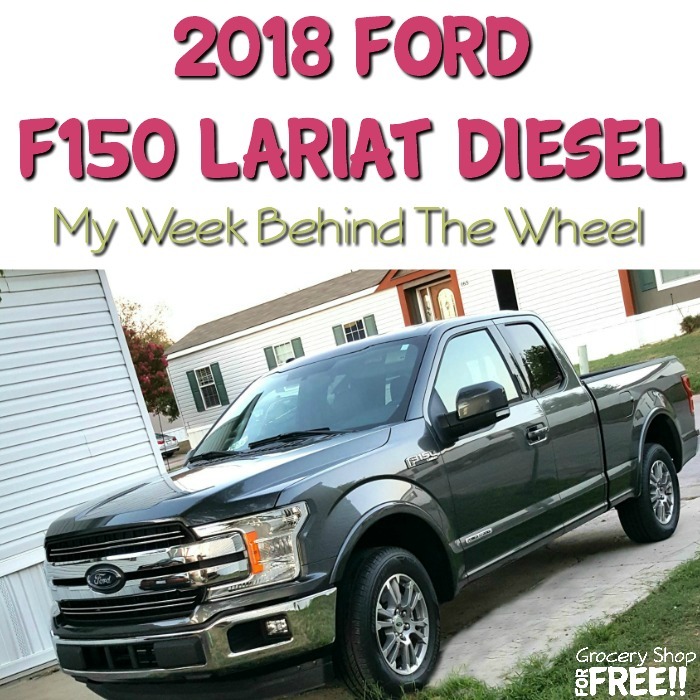 You are here: Home / Sponsored / 2018 Ford F150 Lariat Diesel My Week Behind The Wheel! I love checking out all the new vehicles Ford loans me! This week I had the opportunity to check out this pickup, and it was so sweet! With the extended cab it was able to easily accommodate my daughter and her children as we ran some errands. I am not used to driving such a large vehicle and I was a bit nervous, at first, but, it was so easy to handle I didn’t have to be worried at all. It was super smooth, very comfortable, and now I would definitely consider a truck for our next vehicle. The Ford F150 Lariat Diesel is a beautiful truck! Featuring the newly developed RECARO® front seats that provide more aggressive styling and seat support. They also have heated and cooled seats. Let me tell you, I sincerely appreciated the cooled seats! 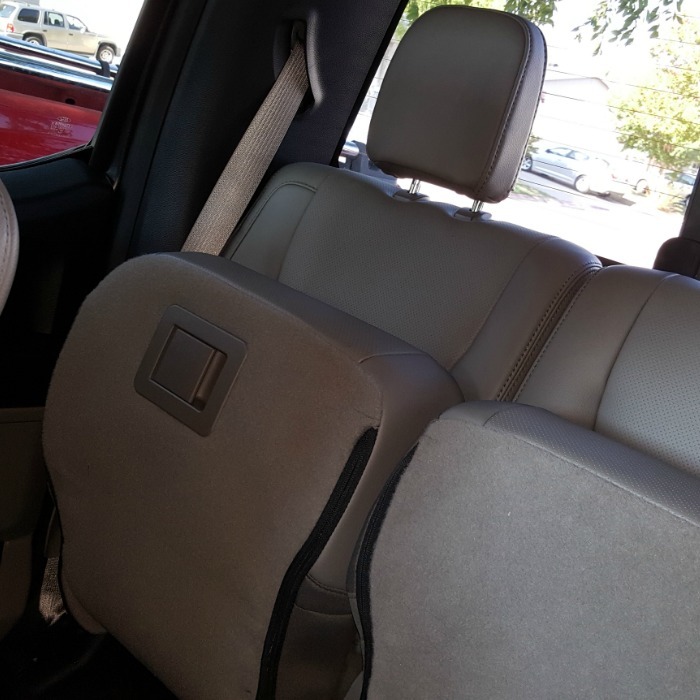 In Texas climbing into a hot vehicle can be unbearable, but, with the cooled seats, it helped me “keep my cool” while the AC did it’s job to cool the interior. I also was happy that the back seats could folded up to carry more inside. The 2018 Ford F150 Lariat Diesel is powered with Ford’s new 3-liter Power Stroke V6 engine, with 440 pound-feet of torque and 250 horsepower. It also comes with an Environmental Protection Agency fuel economy rating: 30 mpg on the highway, 22 mpg in city driving, and 25 mpg overall. I was super surprised at how well the fuel held up. I thought in such a large vehicle I would be at the gas station a few times. I drove it what seemed like almost non-stop for a week and never had to stop at a gas station, at all! When you think about full-sized diesel pickups, you often think about powerful yet noisy engines. I was surprised after driving this F150 Diesel Lariat at how exceptionally quiet it is. In fact, everyone that found out it was a diesel was surprised, too. Plus, the engine is also powerful — even on low areas. Plus, this all-diesel pick-up features the newest technology! 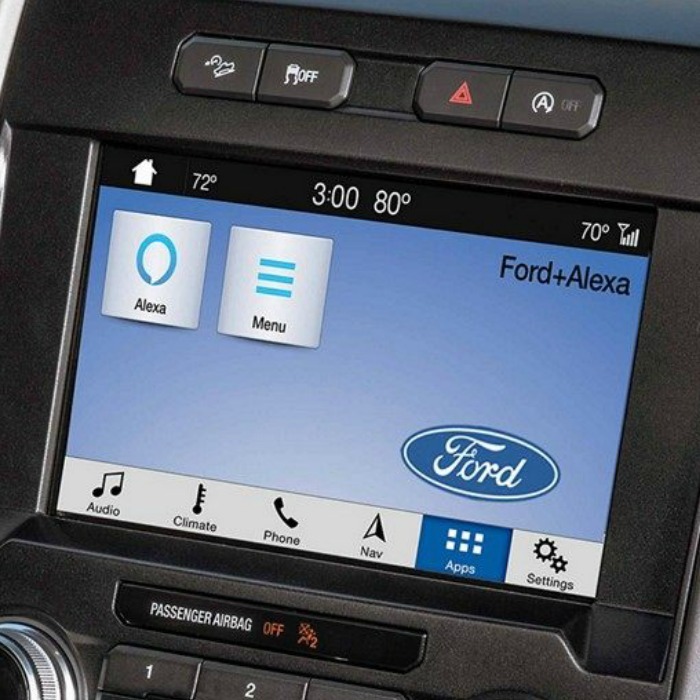 It introduces the Ford+Alexa app that connects via SYNC® 3 AppLink®. You can use it for traffic information, real-time alerts, voice navigation, Waze, and even accessing the internet. Ford has done an excellent job with the Ford F150 Lariat Diesel in terms of silent operation, fuel efficiency, and overall performance. 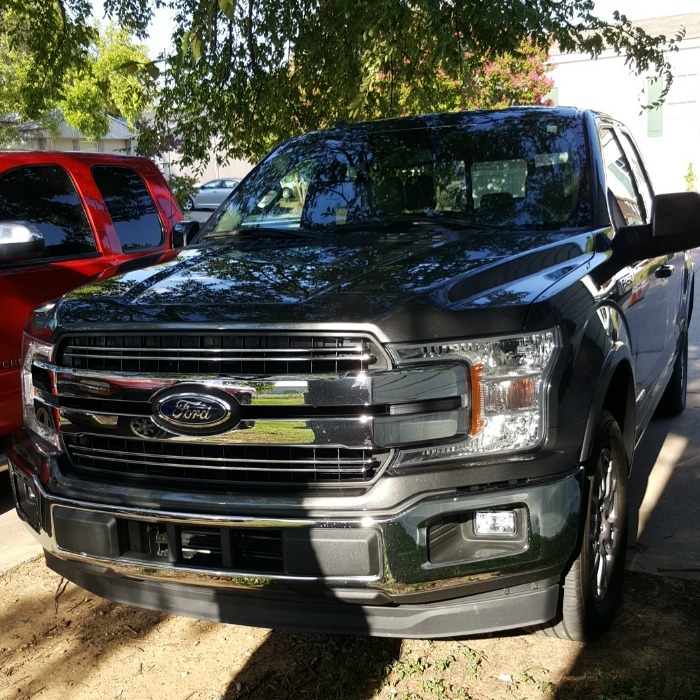 If you are looking to save money when it comes to fuel, especially if you are a high-millage driver or you want to keep your car for several years, this addition to the Ford family is perfect. Be sure to check it out at your local Ford dealer!